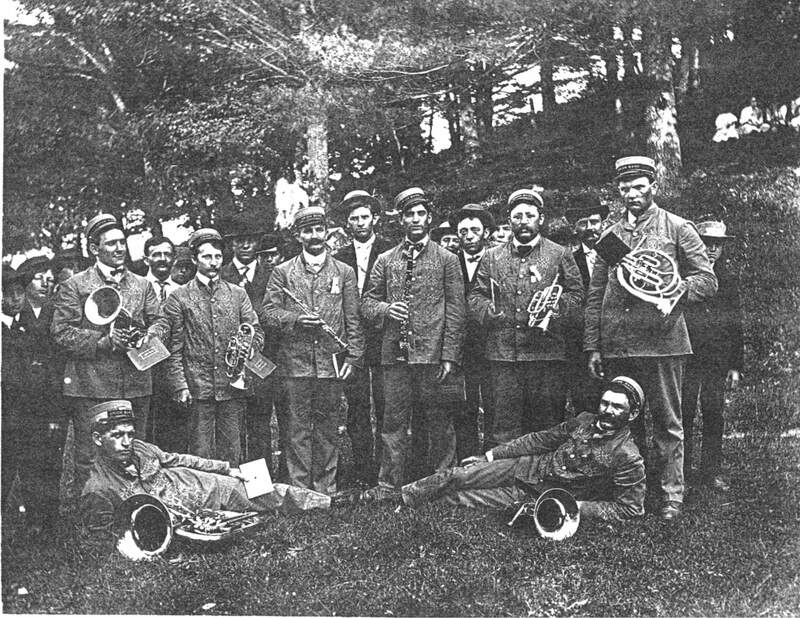 The first band in Kiel was organized in the 1870’s. 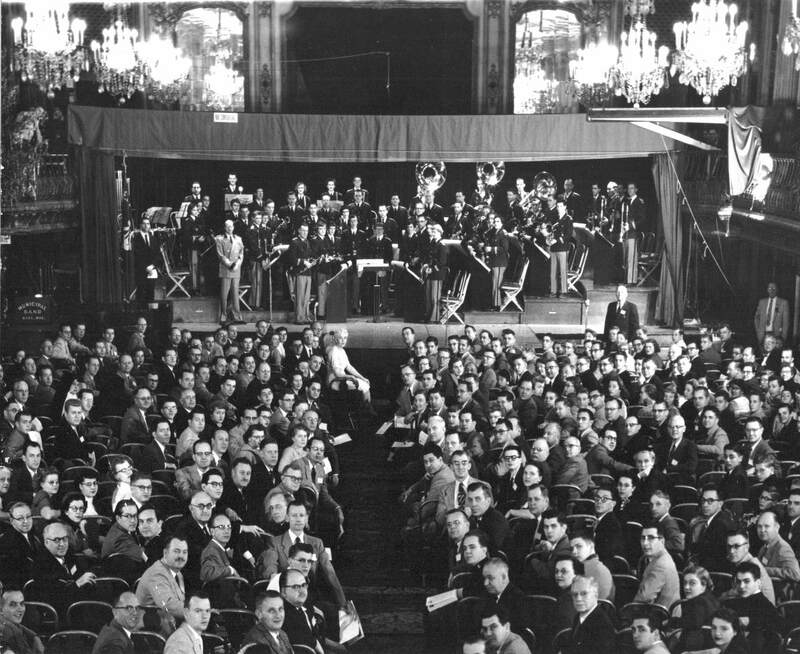 However, the Kiel Municipal Band didn’t come into existence until March 7, 1928. In 1927 a group of civic-minded citizens decided that the selection of Kiel as the host community for the upcoming 1928 State Firemen’s convention would bring considerable prestige to the city. They felt that a special band should be organized for the event with musicians from all groups in the city making up the new band. Jacob Zwickey was the first conductor and held that post until 1934 when Edgar Thiessen, then only 20 years of age, was appointed to serve as conductor. Dr. Thiessen held that post until his death in 1984, at which time Dr. Lewis Schmidt was elected the third conductor of the KMB. In 2012, Dr. Jon Meyer became the fourth conductor of the band when Dr. Schmidt retired from the post. 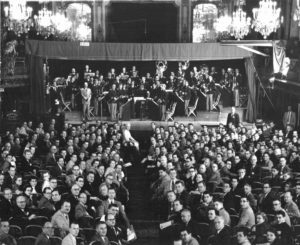 During the past 90 years, the KMB has been meeting the musical needs of the City of Kiel and surrounding area, as well as making national and international appearances. Over the years the band has been recognized with numerous honors and awards. The KMB has perform ed at music festivals and major events in Chicago; Philadelphia; Washington, DC; Elkhart, Indiana; South Milwaukee; Waterloo, Ontario; and Kiel, Germany. The KMB has also appeared in the Great Circus Parade and the City of Festivals parades in Milwaukee on several occasions. In 1954, the KMB was the first community band to appear at the Mid-West International Band and Orchestra Clinic in Chicago and made a return appearance in 1979. 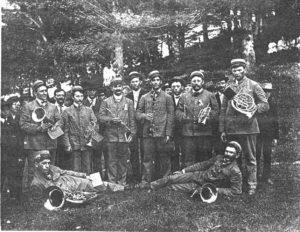 The KMB is one of the few civilian bands accorded the honor of playing a concert in the amphitheater at Arlington National Cemetery, occurring in our nation’s bicentennial year. In 1978, the KMB performed in concert at the National Band Association Convention in Knoxville, Tennessee, and has hosted Wisconsin Bandmasters Association conventions on several occasions. In 1985, the Kiel Municipal Band was the host band for the American Bandmasters Association convention held in Kiel and Kohler, and represented Wisconsin in the pre-game ceremonies at the All-Star baseball game in the Twin Cities. In 1990, the KMB was awarded the prestigious Sudler Scroll, given by the John Philip Sousa Foundation to community bands of exceptional merit; few bands have been so honored. In 2010, the band was one of seven bands in the nation invited to participate in the 3rd Annual National Community Concert Band Sousa Festival in Washington, DC, in commemoration of the 65th anniversary of the end of World War II. Band members range in age from high school students to multiple members who have 60-plus years of service with the band. Many other members have in excess of 20 and 30 years of service. Our clarinetists have a combined total of over 180 years of service to the band. The KMB members represent a wide variety of occupations. All of its musicians are volunteers (and receive no pay for their services), attending rehearsals twice weekly throughout most of the year.